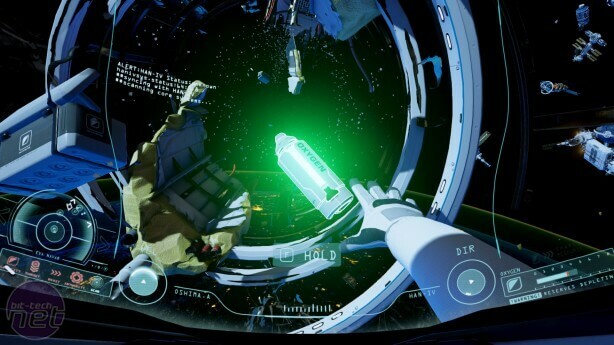 Sometimes a game comes along that’s so immersive and beautiful that it almost takes your breath away and ADR1FT is all those things and more. A couple of days ago a notification arrived from Steam advising me that the game was on sale for a mere $7.99, so I read a couple of reviews, checked out a few Steam forum comments and in spite of all the negativity, I bought it. I’m glad I did as floating around space in a leaky spacesuit with the distant sound of Debussy’s Clair de la Lune has never felt so good. 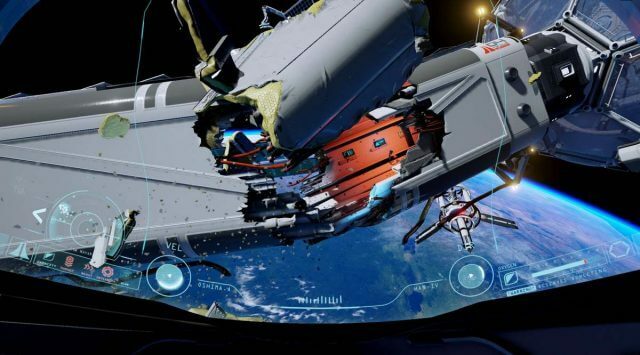 You play as crew member Alex Oshima of the Northstar IV, a huge space station that has suffered a catastrophic explosion, tearing the entire structure to pieces, leaving you as the only survivor. With a damaged and leaking spacesuit you need to repair the computer mainframe in order to gain access to the rescue shuttle so that you can return safely to Earth. Unfortunately for you, materials are scattered far and wide, you need access to computer terminals located in bits of broken space station across long stretches of the void and you need oxygen, lots of it. Furthermore, your EVA jetpack uses the only shared resource –oxygen– so trying to reach that solitary oxygen cylinder whilst using the last of your fuel can potentially be self-defeating. 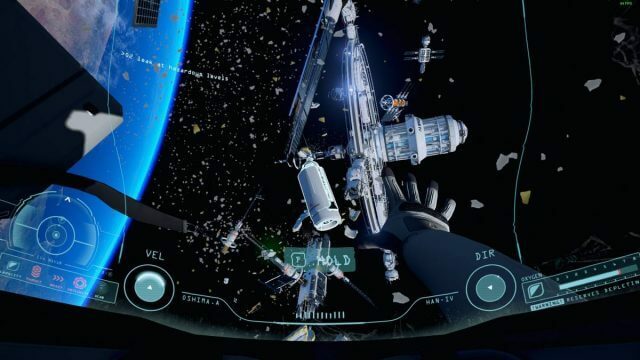 At times this game feels like a VR (virtual reality) tech demo and indeed it does have support for Oculus Rift and Vive, with space being the perfect environment for VR, particularly as you have to think in three dimensions when exploring the broken space station. But since I don’t use VR, I make do with a keyboard and mouse, which work satisfactorily up to a point. The mouse controls your three-dimensional aspect and the keyboard, your movement. However, the key-bindings are hard-coded into the game and can’t be changed from WASD. Fortunately, you are able to invert the Y-axis, otherwise, I really would have struggled as my brain can only cope with an inverted Y-axis. The lack of options in the controls has resulted in a lot of criticism and at first, I found it difficult to move around. However, within less than a minute of being thrown into that unique moment of floating in space, I was prepared to forgive these shortcomings immediately; it’s such an incredibly overwhelming experience and that’s not something I often say about a game, if ever. There are times whilst chasing an elusive oxygen bottle when I can feel myself holding my breath, especially when I hear Alex’s laboured breathing. When I finally snag the precious resource, I even feel myself sighing out of relief with the character I’m playing. 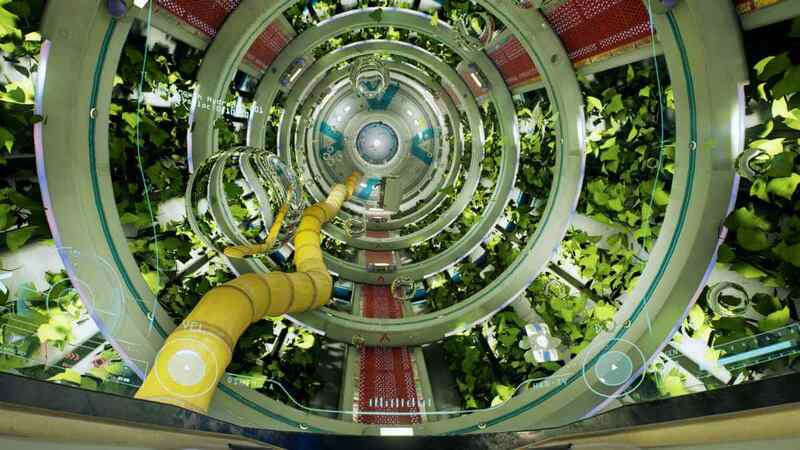 Fortunately, there’s an abundance of oxygen bottles floating around, but they tend to be located near to broken space station modules and debris trails, so thrusting yourself across the void can be a risky business. 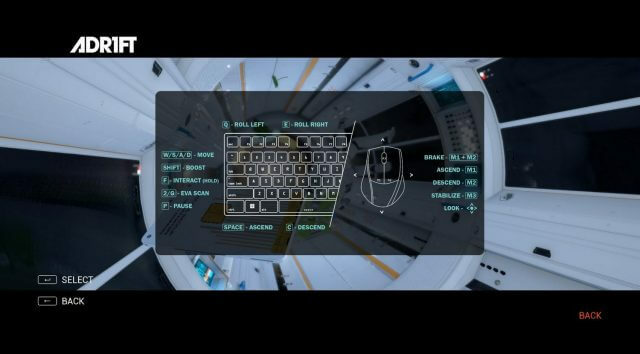 Without spoiling the game, oxygen does become more accessible as you progress and the space suit’s built-in scanner helps a great deal in this respect. 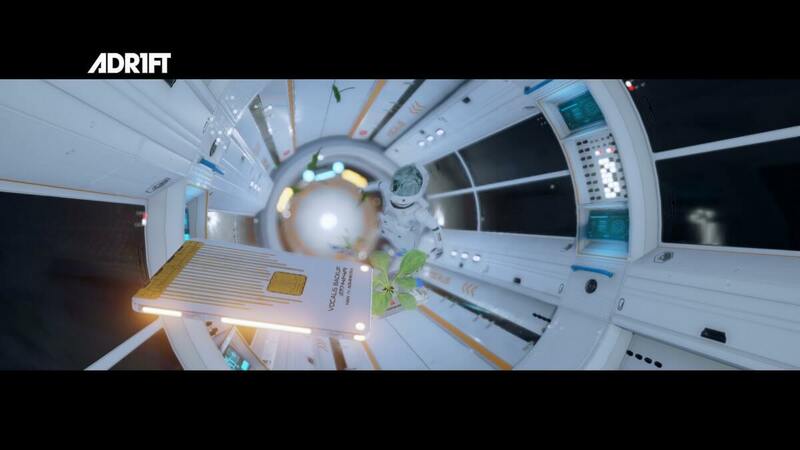 During your many excursions tooing and froing whilst repairing parts of the space station, you come across items to collect such as SSDs and PDAs with audio logs from your deceased crew members. 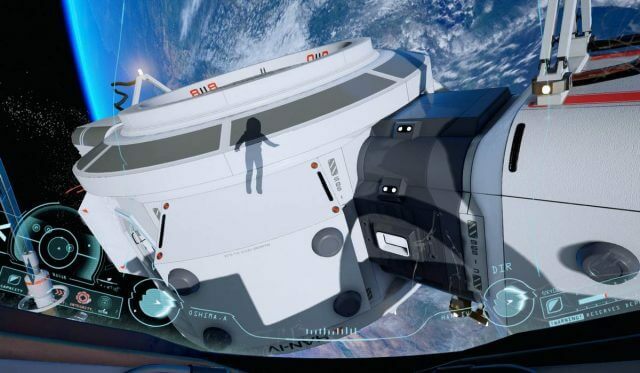 You can also visit your old crew members’ quarters, read their emails and learn something about them, but I found the result to be more than a little dull and tedious, although this does help add a certain pathos to the predicament you find yourself in, similar to the film Gravity. Many genres have attempted to capture the utter emptiness of space, none more so than perhaps 2001: A Space Odyssey and Alien, but the sounds of space? They say that in space no one can hear you scream and only those who have travelled there and even gone EVA, would have any idea of its true wonder, but ADR1FT does add some incredible audio to the game, lending it an even more immersive experience. Apart from automated updates from the sometimes disjointed on-board computer voice, you hear yourself bang against objects, you listen to musical recordings as if they’re floating through the ether and decades-old transmissions seem to bleed through your antenna and into your helmet. Many of these sounds are accompanied by morse code-sounding SOS bleeps, radio crackle and even an orchestra fading in and out as if from your distant memory. It captures the hopelessly lonely experience perfectly, much like grasping at those elusive oxygen cylinders, you feel like you’re reaching out to the last vestiges of humanity. 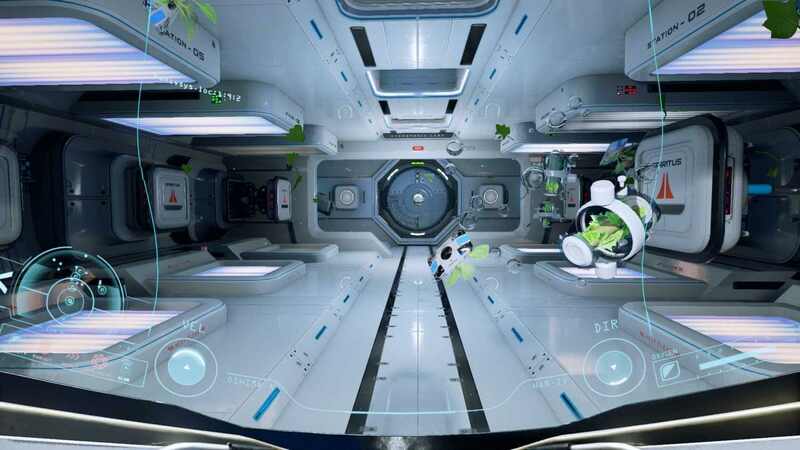 Here’s a small sample of Adr1ft. To add to the isolation and feelings of helplessness, radio transmissions from ground control periodically come through your helmet asking you to make contact. You know you want to desperately, but you can’t until you’ve made the necessary repairs and even then, you’re not absolutely sure they’ll hear you. From the opening moments of the game, you are thrust into a field of floating debris and broken modules, which is all that’s left of the Northstar IV space station and the impact is immediate. What’s left of your floating home is dwarfed only by the radiant blue of your home planet and the twinkling stars in the vastness of space and your natural inclination is to either get yourself upright, cling to something firm, or both. After a short while of exploring though, you feel confident enough to look around and wonder at the amazing vistas created in this environment. Using Unreal Engine 4, the developers have spared nothing in bringing every detail to life. Debris is rendered in such incredible detail, such as the chunks of foam insulation of the space station walls, globules of shiny water droplets floating before your eyes and the juxtaposition of huge towers of green vegetation and floating plant life. Many have described it as a dull, boring and tedious experience, which misses the point a little. I don’t think this was meant to be a typically linear, triple-A blockbuster and I believe it’s fair to describe it as an exposition of what can be achieved in the FPX (first-person experience) genre, especially in VR. For my part, it’s a haunting and beautiful experience and one that I’ll probably return to time and time again. I only hope that finishing it doesn’t come too quickly. Next:Ashampoo Music Studio 2018 – Free Full Version!